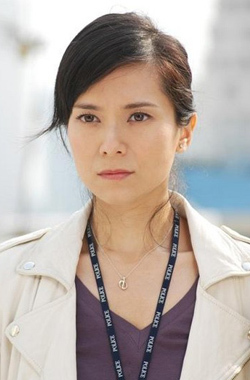 Sonija Kwok is a Hong Kong actress, currently working for TVB. She was born in Hong Kong of mixed Cantonese Chinese and Caucasian parentage (her father is half Caucasian. Kwok immigrated to Vancouver, from Hong Kong. She attended the University of British Columbia at first but then enrolled and graduated from Simon Fraser University. She became a flight attendant with Cathay Pacific later. After finishing her studies, she flew back to Hong Kong in 1999 and competed at the Miss Hong Kong 1999 pageant. Before the semifinals, she was a favorite for the crown because of her looks. In the semifinal, she took the Miss Photogenic award. 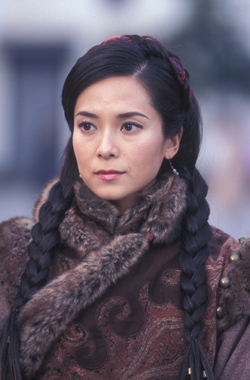 Having won that, she became the favorite for the crown, because in Miss Hong Kong (1996-2001), all winners of the Miss Hong Kong pageant had also won the Miss Photogenic award. Ultimately, she won the title of Miss Hong Kong (July 1999). She also won two other awards, Miss International Goodwill and Miss Intelligence. Coincidentally, the winners from 1997-2000 all hailed from Vancouver, Canada. After winning the Miss Hong Kong title, she participated in many TVB events. In January 2000, she represented Hong Kong at the Miss Chinese International 2000 pageant in Las Vegas, Nevada. She took the crown for Hong Kong and won two other awards. She is considered one of the most successful Miss Hong Kong and Miss Chinese International winners, especially since she is the only Miss Hong Kong representative to win the Miss Chinese International pageant since Hong Kong's Michelle Reis took the crown in the pageant's inaugural year in 1988. After her success at both pageants, she represented Hong Kong at the Miss Universe 2000 pageant. She failed to place in the top ten at the pageant in Cyprus. She did make some impact though, making the top ten of the Miss Photogenic polls, and was featured in the front image of the Miss Universe website during that time. She is currently one of T.V.B. 's actresses. Kwok continues to star in many T.V. shows, series, commercials, and entertainment functions, as well as being a spokeswoman for many beauty and other commercial products in Hong Kong. In July 2007, she was rumored to be having an affair with fellow T.V.B. actor Michael Tao. Tao and his wife are currently pending divorce with Sonija speculated to be the third party.